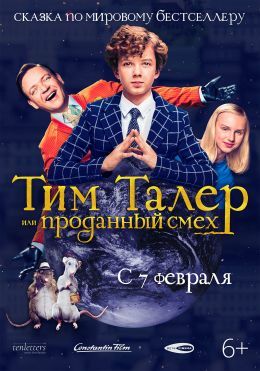 About the movie "Tim Thaler, or Sold Laughter"
The plot of the film is based on the fabulous philosophical story of the German writer James Crews. Regular teenager Tim Thaler (Arved Fries) lives with his father in 1920's in a small alley in a small German town. The boy grows up in bad conditions, but he is happy, because he has a unique laugh, which no one can resist. Tim's laughter is so infecting others with positive emotions that the sinister baron decides to get such a rare gift by any means.